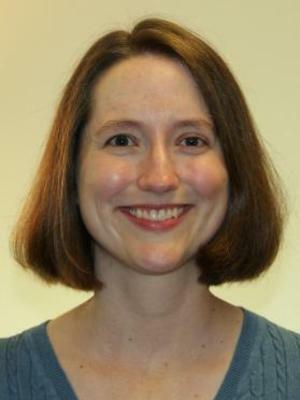 Carolyn Skinner's research interests include nineteenth-century American rhetoric, particularly women's scientific and professional rhetoric and the role of science and professionalism in public decision-making; composition studies; and writing center studies, especially classroom-based tutoring. In 2006, she co-authored a piece in the Writing Center Journal that received an award from the International Writing Centers Association for outstanding scholarship. In 2014, she received Ohio State Mansfield’s award for Excellence in Scholarship. Skinner teaches courses on historical and contemporary rhetoric, writing studies and tutoring writing. She also serves as Writing Program Administrator for the Mansfield campus. Women Physicians and Professional Ethos in Nineteenth-Century America. Carbondale: Southern Illinois UP, 2014. “Medical Discovery as Suffrage Justification in Mary Putnam Jacobi’s 1894 New York Campaign Rhetoric.” Advances in the History of Rhetoric 19.3 (2016): 251-275. “Incompatible Rhetorical Expectations: Julia W. Carpenter’s Medical Society Papers, 1895-1899.” Technical Communication Quarterly 21.4 (2012): 307-324. “‘She Will Have Science’: Ethos and Audience in Mary Gove’s Lectures to Ladies." Rhetoric Society Quarterly 39.3 (2009): 240-259. “‘The Purity of Truth’: Nineteenth-Century American Women Physicians Write about Delicate Topics.” Rhetoric Review 26.2 (2007): 103-119.